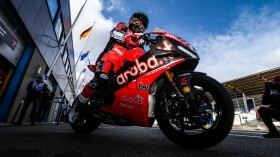 Bautista bags pole position ahead of van der Mark and Reiterberger at Assen! A frantic session that saw the red flag come out at the end, Bautista beat home-hero van der Mark! 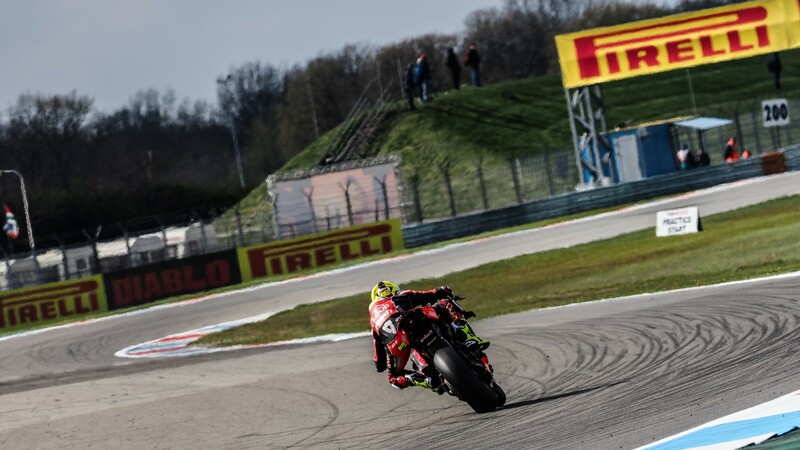 In cold, windy conditions the 2019 MOTUL FIM Superbike World Championship continued to put on a phenomenal show at the Motul Dutch Round during their Tissot Superpole session. 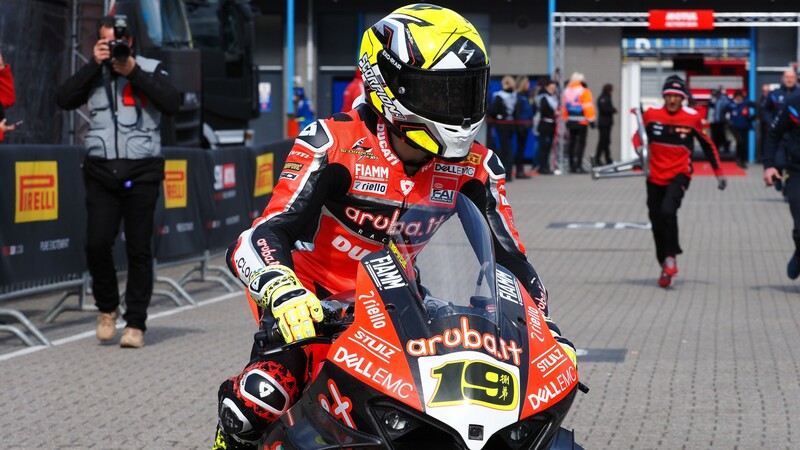 Alvaro Bautista (ARUBA.IT Racing – Ducati) sneaked pole position with a minute to go but big crashes involving Ryuichi Kiyonari (Moriwaki Althea Honda Team) and Toprak Razgatlioglu (Turkish Puccetti Racing) at Turn 15 brought the red flags out and a premature end to the session. 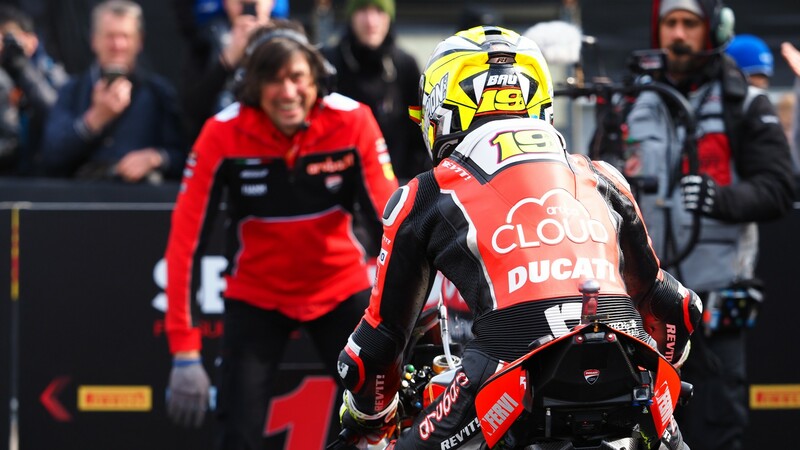 Championship leader Alvaro Bautista was back up the sharp end of proceedings on Saturday, having endured a difficult opening day by his own standards. The Spaniard was a persistent top three runner throughout the session and maintained his front row starting record, placing on pole position for a third consecutive round. 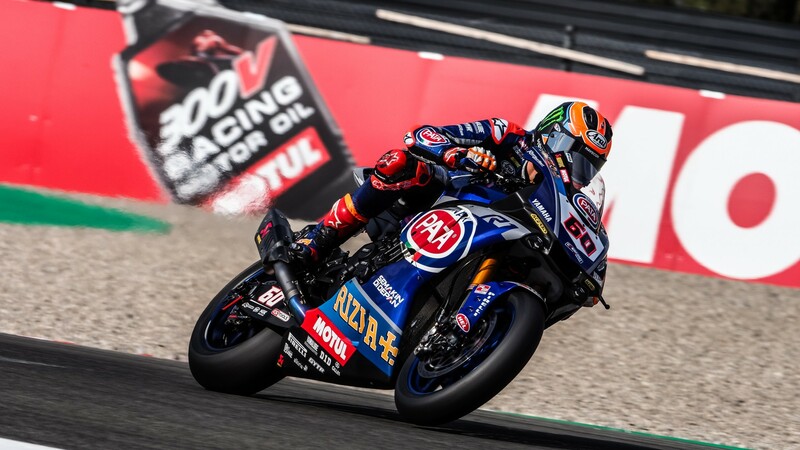 Teammate Chaz Davies, who has never had a pole position or win at the TT Circuit Assen, featured inside the top ten for the entirety of the session, completing it in seventh position and without setting a fast time on the Superpole tyre. Michael van der Mark enjoyed a positive Superpole session, finishing second at the end. The Dutch rider will look to add to his win tally from the front row, with his first front row starting place after Superpole since his only pole position in Thailand, back in 2016! It was a positive start to the session for Alex Lowes (Pata Yamaha WorldSBK Team) as he led the session for the most of the first half. Having suffered two big crashes on the opening day of action on Friday, it was a pleasant return to the front for the third-placed man in the championship. Lowes finished in fourth at the end of the session. It was a fantastic session for the BMW Motorrad WorldSBK Team, as Tom Sykes and Markus Reiterberger continued their progress throughout the session. Before the red flag, Tom Sykes had been inside the top four but eventually slipped to sixth having not set a time with the Superpole tyre, whilst Markus Reiterberger bolted in a lap time for his best ever Superpole starting position of third – becoming the first German rider to start on the front row at Assen. 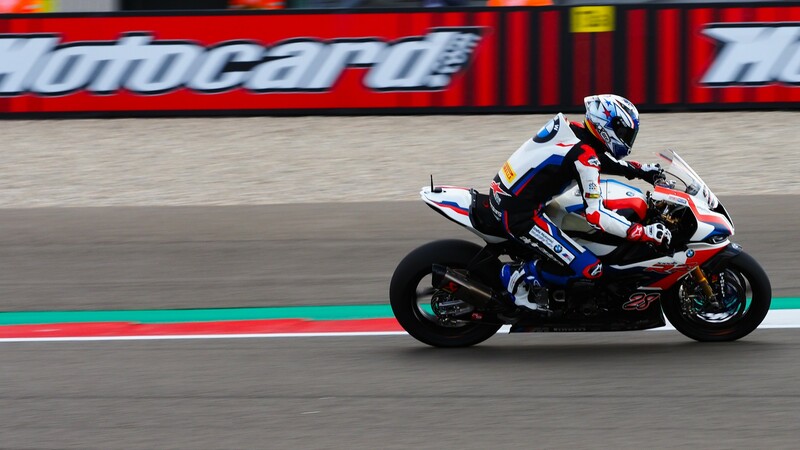 It is BMW’s first front row at Assen since Troy Corser in third in 2010. It was another difficult Tissot Superpole session for Kawasaki riders, as fifth was the best that Leon Haslam (Kawasaki Racing Team WorldSBK) could manage. The British rider will be looking to mount the podium from the second row on his return to WorldSBK racing at TT Circuit Assen. His teammate Jonathan Rea was outside of the front row for the second consecutive round, with an eighth place – the red flag hindering his progress at the end. The reigning four-time WorldSBK Champion had beaten Bautista across all session leading up to Superpole, so expect a race charge from the Northern Irishman. Once again there were two Independent team riders who made the top ten, with Jordi Torres (Team Pedercini Racing) achieving his second consecutive ninth place start after the Tissot Superpole session. The Spaniard will be looking to remain inside the top ten during the races. Toprak Razgatlioglu (Turkish Puccetti Racing) completes the top ten but the Turkish rider was taken to the medical centre after his Turn 15 crash that brought a red flag out to the session. 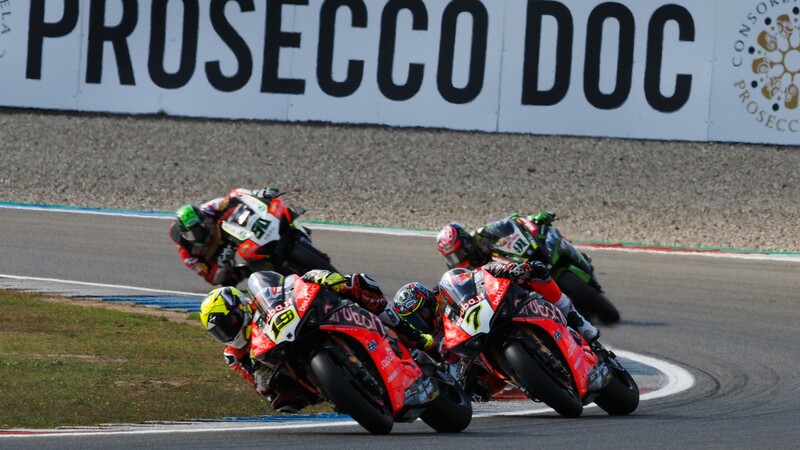 Other notable positions included Leon Camier (Moriwaki Althea Honda Team) who was in 11th, whilst rookie Hector Barbera (Orelac Racing VerdNatura) was 14th, and Alessandro Delbianco (Althea MIE Racing Team) secured a career-best 15th. Marco Melandri (GRT Yamaha WorldSBK) was a shock down the order in 17th. Watch the WorldSBK action through the Motul Dutch Round with the WorldSBK VideoPass! 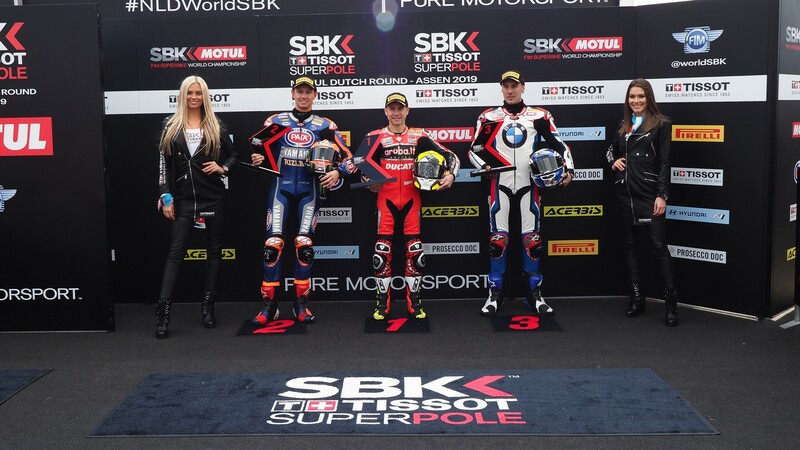 For full results of Tissot Superpole, click here! 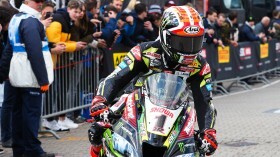 Humorous Rea reflects on exciting Assen weekend! 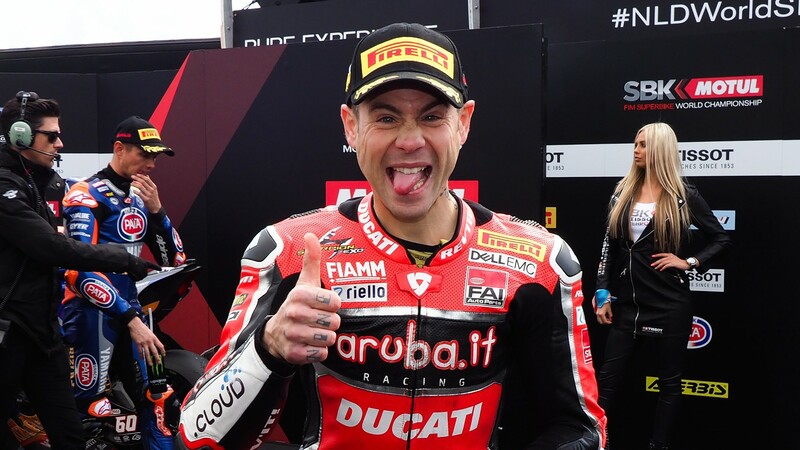 The reigning four-time WorldSBK Champ discusses his lunch and the impact it had on his Race 2 start, as well as how he tried to fight with Bautista! Reiterberger chasing top five after impressive performance at Assen! German rider was right up the front throughout the entire weekend for his best results of the season! Davies missing out on Assen podium "somewhat a disappointment"
The three-time WorldSBK runner-up remains upbeat despite being unable to climb on the podium at Assen! Bautista wins frantic Race 2, van der Mark and Rea collide in last lap showdown! Talking points… The best quotes from Assen! Gonzalez wins ludicrous WorldSSP300 race at Assen! New time schedule for Sunday after Race 1 postponed!